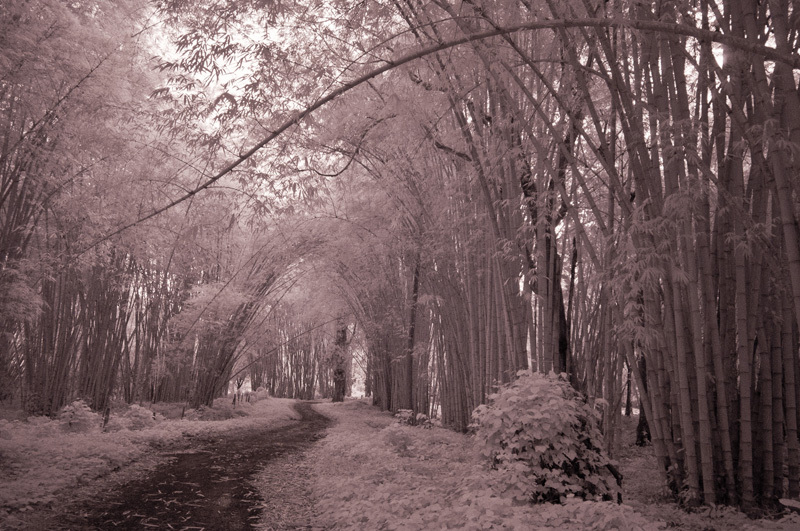 This infrared bamboo photo was taken last week in Playa Uvita, Costa Rica. The owner of the land has planted bamboo throughout their property as a means of erosion control. As for the image, I have noticed Barry is using his infrared filter alot more lately. I am not sure if this is an artistic stage he is going through or because we haven’t had time lately to stay until sunset or sunrise and it is really bright here most days. Once our building project is complete I will be able to compare. I am really hoping that he gets out his cine-slider too! Yes very cool. Has an emotional impact. Very cool shot! When I first saw it I thought it was snow! I love it! It really produces a surreal sense for the viewer to take in. Almost otherworldly. 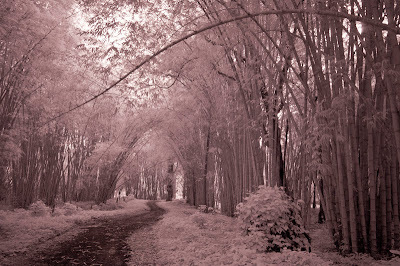 WONDERFUL capture, I really like IR photography and you guys are definitely nailing this down fabulously.